I spent the weekend in LA and was pleasantly surprised to come back to sunshine in SF. There's nothing quite like a clear and sunny day in SF. The views are just stunning. I often like walking up to the top of the hill where I live to catch the stunning view of the ocean. To help make the walkabout a hilly city a bit easier, I opted for casual sandals (nabbed from H&M). They are surprisingly comfy and have just enough padding on the sole to cushion my feet. I hope you all enjoyed the weekend! What did you end up doing? I'm in love with those sandals and adore the gingham paired with sequins, so fun! 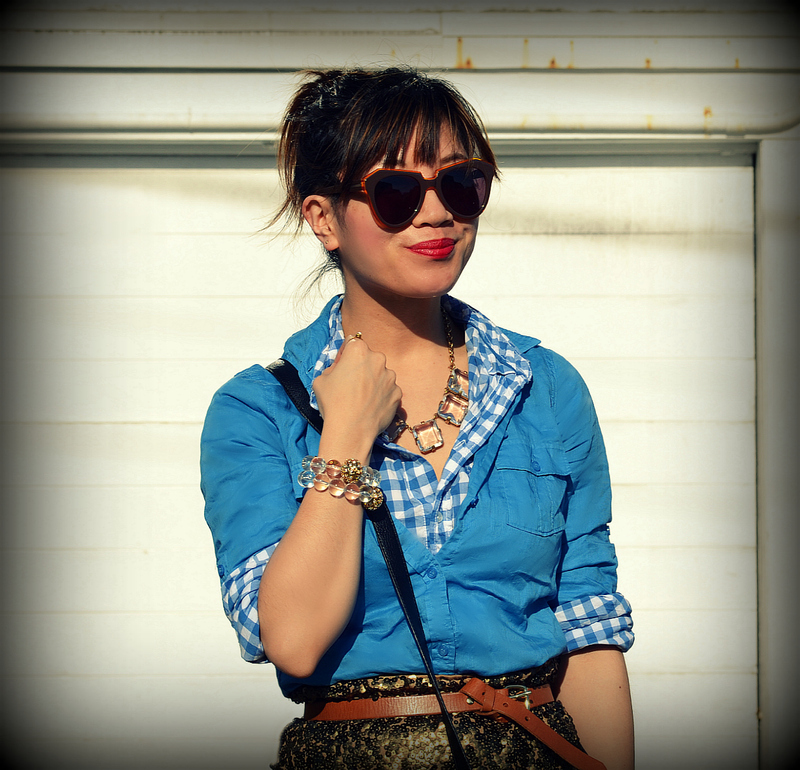 I love the sequins skirt paired with the layered shirts, so cute! Love your whole look and the layered shirts are adorable!! Also those glass pieces are really pretty. Glad you had a good time in LA! I was making a long haul home and trying to get over jet lag, haha. I have seen so many times at H&M, just not in my size. Did you see the blouse too? Stunning. 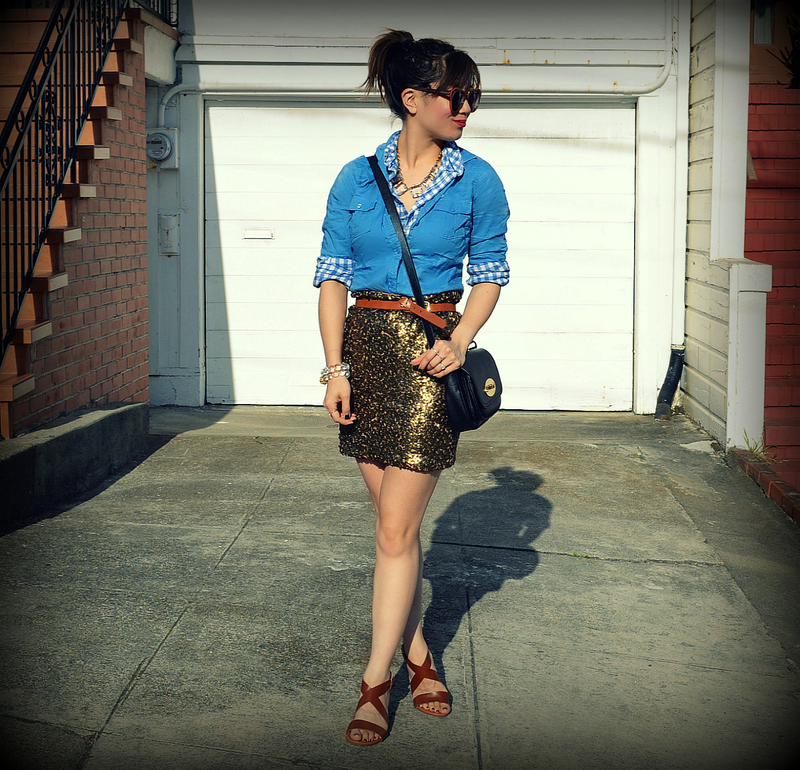 Love the sequin skirt!! what a gorgeous skirt! I love everything about your outfit!! LOVE that skirt! And I am loving how you layered those tops on eachother - gives the outfit a completely different feel! 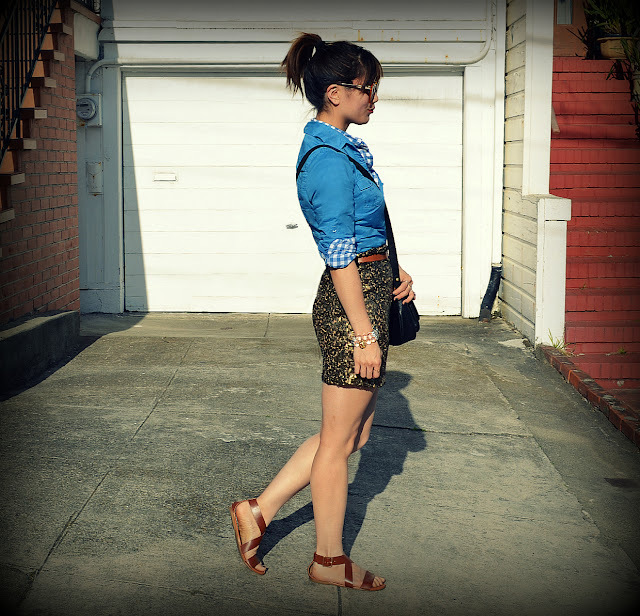 I love the casualness of the upper half mixed with the edgy yet classy skirt. And I'm so jealous you live in San Francisco! Nancy I couldn't agree more - the views of the bay are breathtaking when its clear. Love your outfit. 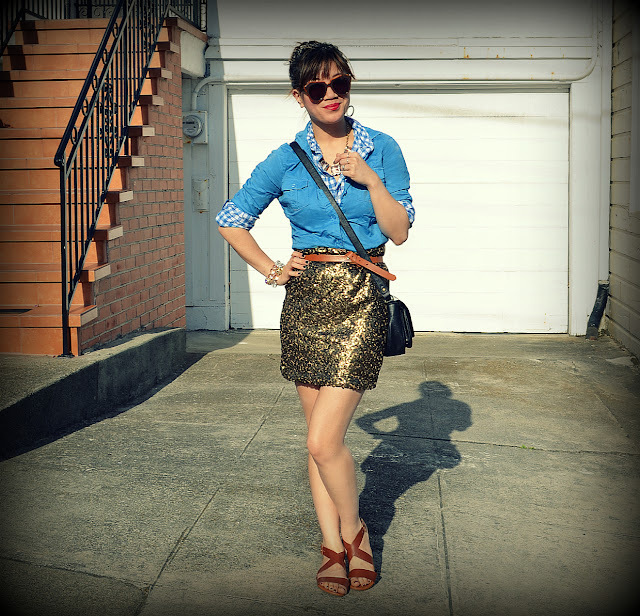 I love how you paired those button downs with the sequins skirt! Love it!